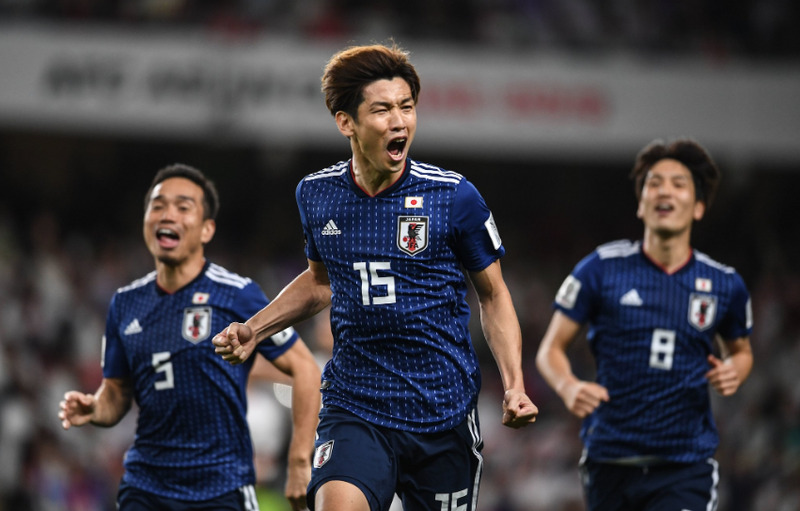 Yuya Osako (centre) of Japan football team celebrates with teammates after scoring against Iran in their AFC Asian Cup 2019 semifinal match on January 28 (Pic: AFC Asian Cup, Twitter). The news. Japan are through to another AFC Asian Cup final. Their fifth final in their last eight appearances at the tournament. Their fifth in fact in the last eiht editions of Asian Cup — since they won the continent’s premier football tournament for the first time in 1992. Now for the numbers, the meaning, repercussions and ramifications, and the whatnot. Iran haven’t been to the final of the tournament since 1976. 43 years now extended to 47. They have never scored against Japan, although, Japan for their part, have scored just once against them in the three matches played before the 2019 edition semifinal at the Hazza Bin Zayed Stadium in Al Ain, the UAE, on January 28. The last goalscorer for Japan before Monday was in the 1992 edition, by the 51-year-old Kazuyoshi Miura, who, by the way, is still plying his trade in professional football in Japan. Part of that team was Hajime Moriyashu, coach now, only a year older to Miura. More numbers? More data to confirm the result, before we discuss it? Japan’s record at the Asian Cup this century, is incredible — one loss in 33 matches. So there we have it. The match between the perennial favourites against the tournament favourites ended 3-0. Life is, they say, a series of moments. In the DVD version of yours or mine — played by Christian Bale or Ranveer Singh dependent on your degree of absurd and budget of course — there won’t be a firm recollection of everything. It will, instead be the moments. And it is in these moments that Monday’s match swung from a tightly fought contest to a 3-0 blowout that sparked a mass brawl and some Iranian fury and disappointment. Carlos Queiroz and Co. will know those moments perfectly. The first was Sardar Azmoun, brilliantly weaving away from three Japanese defenders, nutmegging two, to fire a shot destined for the bottom corner of the Japan goal. However, Shuichi Gonda wasn’t just making up the numbers. He flung out a foot to go with his arm, and made an incredible save. The second moment was schoolboy. It is one of the basic tenements of football. Play to the whistle. Takumi Minamino was brought down on the edge of the Iran box by Hossein Kanani. Instead of playing to the referee, three Iranian players strode out of position in protest — Morteza Pouraliganji’s charging 10 yards of out of position to wave a finger, the biggest mistake made all night. Minamino got up, collected the ball and crossed into the space Pouraliganji was previously occupying. Yuya Osako duly nodded in. For the first time in 2019, Iran had conceded a goal. A few minutes later, Osako and Japan doubled it. Puraliganji slid in blindly, Minamino’s cross hit his arm, referee went to VAR and penalty. Osako had a second. But in truth, barring a 20 minute spell in the first half, Japan were the only team on the pitch. Iran had outscored everyone at the tournament, but they had done so with a counter attacking physical attitude, where everything went through and to Sardar Azmoun. Japan negated that, and went a different way. Iran played in straight lines. Japan played in triangles. At times, even for a neutral, it was difficult not to be mesmerised by the way Japan opened up Iran’s defence by forcing them into tight areas, and then suddenly spreading the play wide. It was maddening and incredibly astute football. After the double blow, Iran were chasing shadows. Instead of pressing as a team, they went individual. Players were dragged out of position with regularity as Japan held poise. Genki Haraguchi will officially go down as the last Japanese to score against Iran, his stoppage time goal a body blow, that completely blew Iran’s players heads. It ended much as it did in 1992. Japan victorious, Iran rebellious. Azmoun sparked a mass brawl at the end, and should have got a red, where he did get a yellow. It didn’t matter though. Japan had their victory. Iran’s wait continue. Awaiting Japan now are either the hosts or their noisy frantic, counter-attacking high-speed neighbours Qatar. The ‘Blockade Derby’ kicks off today. Manchester City vs Paris Saint Germain. The hosts of now, against the hosts of the 2022 FIFA World Cup. Japan will go in as favourites, of course. Ominously enough, they have never lost a final in this tournament.